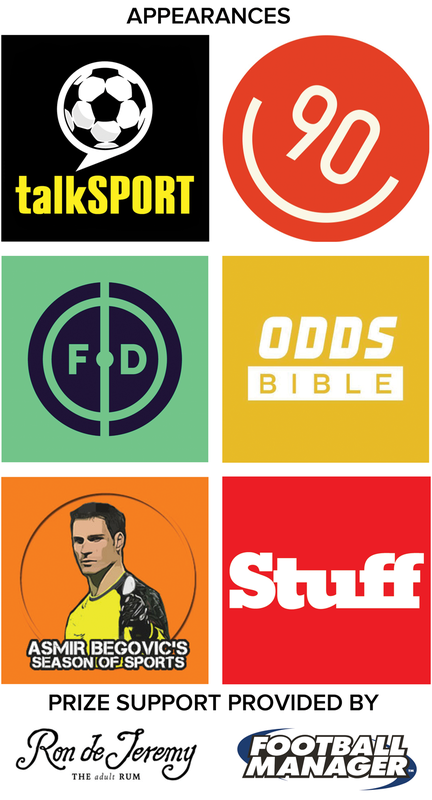 We invited listeners of The Gaffer Tapes to have their say on all things football for a series of FanBlogs. Alex butler took a break from the stressful World on FPL and reflected on the recent internationals, looking at Spurs' influence on the national team and asked whether Woy could weally ignore Wooney. For once, a weekend without premier league football wasn’t as tedious and uneventful as it normally is. Saturday’s 3-2 win against Germany was the first time I, and many of you, will have felt excited and proud to watch England play in recent times. Predictably and on cue, the result prompted the usual “England will win the Euros/World Cup” chatter with the public on the back pages. Sadly, Tuesday’s game against Holland, at Wembley, did not live up to expectations. Holland came from 1-0 down to win 2-1 with a rather stagnant performance from England. Both games were polar opposites and so were the performances. Against Germany there were no expectations. A sense that whatever the result, the outcome didn’t really matter. If we lost, it would be because we were playing the world champions or “it’s just a friendly”. On Tuesday we faced Holland, a team in transition who hadn’t even qualified for the Euros. There were no big names from recent years to be afraid of with the likes of Van Persie, Robben and Sneijder not featuring. We were at home and expected winners but that pressure always seems to haunt England. No pressure against the World Champions in Berlin- amazing performance and a win from 2-0 down. With the pressure on, at home, against a team we were expected to beat- a lackluster and uninspiring performance resulted in a 2-1 loss. It’s now just two months until Roy will have to name his starting 11 for our opening match against Russia. I think most people will agree that, against Germany, England looked better and more attacking than we have seen in a long, long time. It’s fair to say that a lot of that is down to the improved performances by the Pochettino’s men. Deli Alli showed great confidence on the ball and aside from his late miss he starred playing just behind Kane whilst showing up most of the Germans. The way he linked up with Lallana and Danny Wellbeck on the wings with quick triangle passing was great to watch. He also showed on enough occasions that he can beat a man. At 6ft2 and only 19 years old he gives us a physical edge in the midfield and he’s not afraid to put his foot in which is a welcome change. Danny Rose had a great performance and must be ahead of Baines/Bertrand in the pecking order now. Baines also had his chance in Brazil and did not make an impact plus Everton’s defense has not been good this year either. Rose, on the other hand, is playing in one of the league’s best defences and gives a lot more going forward. Kane and Dier were on the scoresheet and both played very well. Dier was solid in front of the back four and did well holding back and sweeping the midfield while the fullbacks bombed forward. His work rate and defending don’t stand out as much as Alli or Kane’s goals and skill but he proved how much of a miss he was on Tuesday night against Holland. His aerial threat from corners was also proven with his stoppage time header. Kane’s finish was superb! Whether it was a Cruyff turn or not can be debated but he also linked play very well with Alli, Welbeck and Lallana. When, at one point, in the first half he was fouled near the area, he immediately got up and grabbed the ball and said he wanted the free kick. The free kick was very poor but the confidence he is showing is a very good sign. The only thing stopping a similar lineup playing Russia and Alli behind Kane up top is Rooney. That’s a question Roy, along with everyone, will be asking: how can you fit Rooney into this starting 11? His form for club this season has been woeful whilst only scored 7 goals in the league without missing any game time up until a month ago. Kane is the leading scorer in the Premier league with 22 goals followed by the 19 goals from Jamie Vardy. Rooney will have to take either Kane or Alli’s position from where they played agianst Germany, most likely Alli’s playing just behind the striker. Do you then move Alli wide and leave out someone like Sterling, Lallana or Welbeck? If the future Hollywood Blockbuster Jamie Vardy can’t get in the team then how can Rooney? Vardy is in the form of his life for club and country. Yes, Rooney did score important goals in qualifying but against teams that will not be challenging to win the Euros and it’s not like he blew anyone away with his performances in those games. Rooney has failed to make an impact in any major international tournament since 2004 and is in the worst form he’s ever had. The trouble is, he’s England captain and one of Roy’s favorites. It would be a shock if he didn’t start and someone who will offer a lot more is going to miss out. Lock up your daughters....and your grandmothers....in fact just lock up these two. State of them. The Pochettino effect is clearly working in the Premier League and it’s great to see that the players are taking their performances over to the International stage. These players two years ago were no where to be seen within the English squad picture for Roy. Alli was in League 1 this time last year after all. Mauricio has clearly worked wonders with these young English talents and maybe Roy would be wise to take note. If Tottenham and Pochettino can carry on their great form for the rest of the season then I see no way Roy can’t pick them for his starting 11 come June.